This is a fine view of Pike o'Stickle, left, and Loft Crag, slightly right of centre, with a couple of buttresses between them, taken from The Band on a December morning. 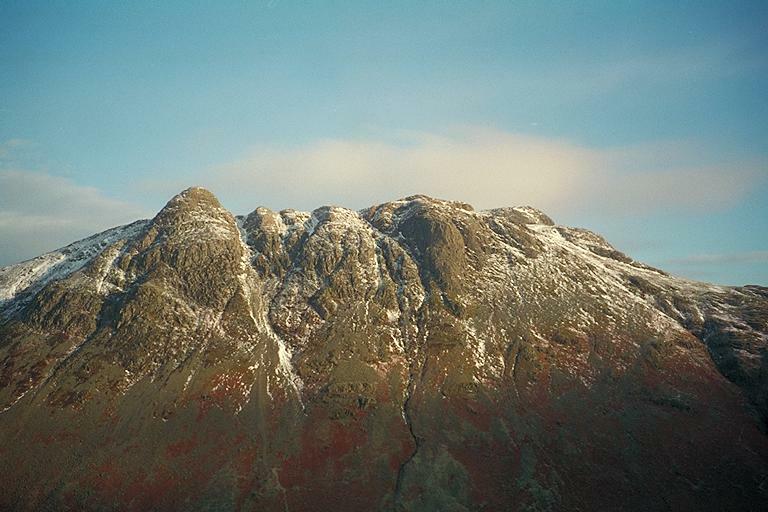 Harrison Stickle can be seen behind and just to the right of Loft Crag. Smaller version of this picture.